Do you know that dragonflies and damselflies have been on earth for more than 300 million years, even before dinosaurs? Today, Singapore is home to more than 120 species of dragonflies and damselflies that come in different colours and sizes. 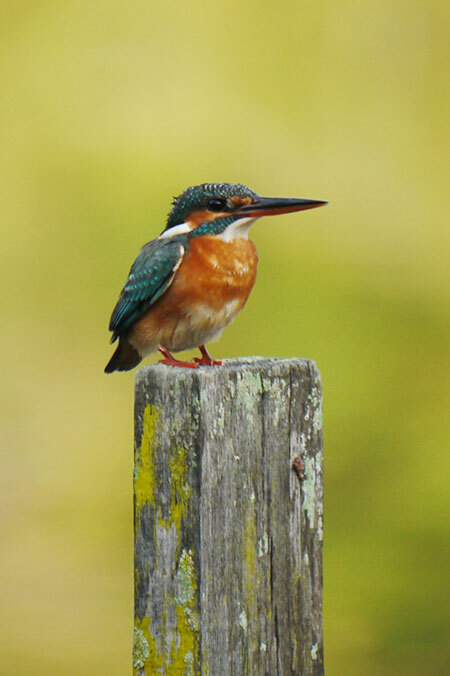 They are commonly sighted near waterbodies, playing an important role in our ecosystem for example, in pest management by helping to keep the mosquito population at bay. The carnivorous adults feed on adult mosquitoes, while the larvae dragonfly or damselfly feed on mosquito larvae. In some tropical areas, dragonfly and damselfly nymphs are intentionally kept in drinking water storage tanks, to control larval mosquito populations! Despite being around for so long, many people still mistake one for the other, feeling that they look very similar. We have prepared a handy guide of distinct differences between the two insects. Keep these in mind the next time you visit our gardens and parks! Dragonflies have large eyes that almost touch each other and take up most of the head as they wrap around from the side to the front of the face. The eyes of a damselfly are large, but there is usually a gap of space between them. The compound eyes of the dragonflies and damselflies help them see and sense movement in any direction. These eyes can also perceive colour, light polarisation and even UV light. Dragonflies have a bulkier body shape compared to damselflies. Their bodies are shorter and thicker, while damselflies are more slender, with bodies that look as thin as a twig. The largest dragonfly that ever lived was said to have a wing span of 72 cm! Both dragonflies and damselflies have two pairs of wings. Dragonflies have hindwings that are larger than their forewings since they broaden at the base. Each pair of wings can function independently. The wings have tiny pockets that catch the tiniest gusts of wind, enabling the dragonfly to take flight quickly. They can fly in every direction, even backwards! Damselflies have wings that are the similar size and shape for both pairs, becoming quite narrow as they connect to the body. Dragonflies hold their wings perpendicular to their bodies and flat out when resting. Damselflies usually fold their wings up and hold them together across the top of their backs. During the inaugural Dragonfly Watch conducted in 2017, some 3,091 dragonflies and damselflies from 33 species were recorded from 35 sites across Singapore. Now that you are better equipped to tell these two interesting species apart, try to spot some of these common species the next time you are out and about in our gardens and nature spaces. The best time to go dragonfly or damselfly watching is from 9 am onwards on sunny days. Most will be active by this time, after having ‘warmed up’ in the sun. Dragonflies do not bite and are completely harmless to humans. They are largely unaffected by loud noises, so you may often approach them up close to really observe them at rest. As some species like to perch for long periods, you can take very good close-up pictures of them if you approach slowly, without scaring them away. Alternatively, you may consider investing in a good pair of binoculars which are designed specifically for watching insects. Pulau Ubin, Punggol Park, Ang Mo Kio Town Garden West, Bishan-Ang Mo Kio Park and Jurong Eco Garden are good places to go to, to look for dragonflies and damselflies. Interested to meet like-minded people who are just as interested about these species as you are? 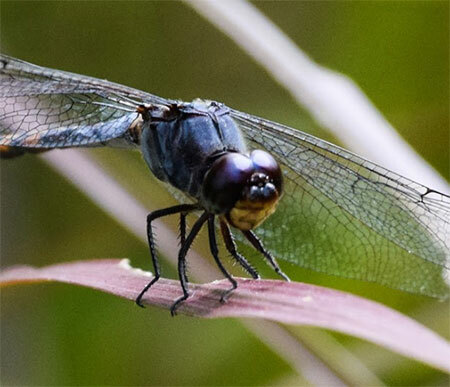 Join us for the next Dragonfly Watch, organised as part of the NParks Community in Nature Biodiversity Watch series, and contribute to a citizen science study on these amazing flying predators. You will be involved in collecting data which will give us a better understanding of the distribution of these species in Singapore, and contribute towards better park management and conservation measures. The next Dragonfly Watch takes place from July to August 2019. For more information and to sign up, check out our NParks website here.